At least seven people including a Mullah Imam of a mosque have been arrested on charges of training terrorists in Herat province. The local officials confirmed that the suspects have been arrested by the security forces in Pashtun Zarghoon district. Provincial Police Chief Gen. Aminullah Amar Khel confirmed the arrest of the individuals and said the detained suspects were also involved in the murder of two policemen. 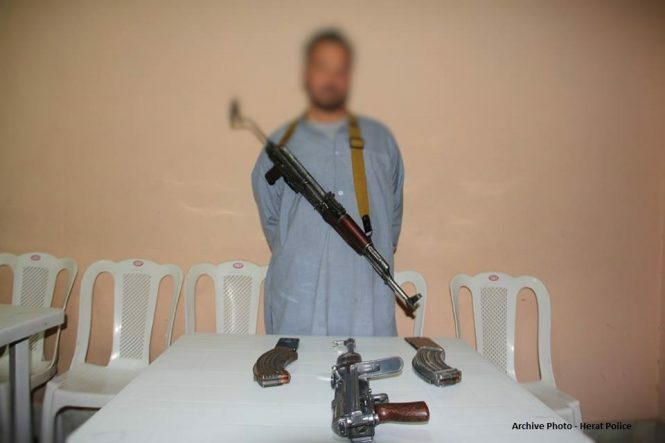 He said the individuals had recently trained some residents of Herat and some other provinces including Ghor and Badghis for future terrorist attacks….